Ernest Hemmingway once remarked “It’s good to have an end to journey toward; but it is the journey that matters, in the end.” While there can hardly be any doubt over the relevance of the above quote, the question that is more pertinent to most of the travelers is how to make a journey that actually matters or in other words, how to make the most of where you travel. There is can be no second thoughts to the fact that we all love to travel and we all have our own ways to know and explore a place that suits best to us. The kind of company you are with decides a lot how your travel experience will going to be. It is very important to have a group that share common interests, have similar personalities, expectations and needs. Certainly you would not like to be in a party that likes to relax more often and always flinch from thrill and adventure, while you are a bold and daring person yourself. There are no hard feelings and it definitely does not mean to discriminate between your good friends, but as you will find out yourself, a trip with the right company will go a long way in getting the best out of your journey, making it a memorable and remarkable sojourn. Collect as much information about the place that you are going to visit from as many sources as possible and make a list of places that you need to see. Internet is always a good source in this case. There are many websites, groups and forums where people leave their experiences and a lot of knowledge and you can ask your own personal questions here as well. 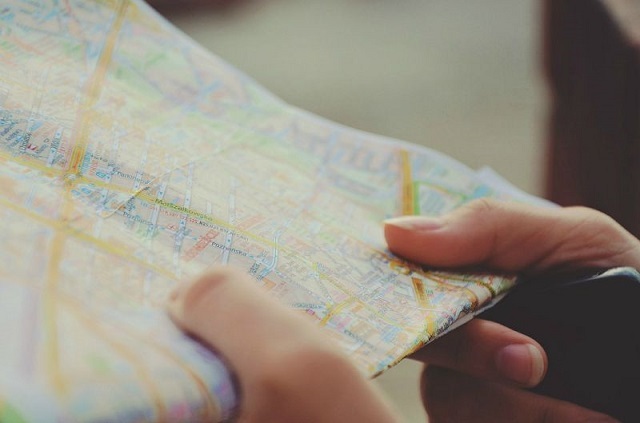 No matter what your destination may be, there is always a possibility that it would be covered by someone who has written about it, so chances are high for you to get some info on your target destination as well. When you have little time on your trip (which in most cases you always have), you don’t want to waste the chuck of that moving up and down from your accommodation and places of interest and vice versa. Thus always make an endeavor to find a place near the central location. Again you can find the central location by visiting the websites of most of the hotels, hostels and accommodations. The place where most of them would be aggregated will be the central location. Most of these website will also mention the distance from main spots. This is an ideal way to find your residence in your destination so that there is less time wasted in transit to and fro from the hotel and more time utilized in sightseeing. The moment you land in your destination your learning about the place begins. Generally keep your ears and eyes open. There would be a lot many people who would be your source of information, from your hotel staff to the ordinary taxi driver. Even locals from most of the destinations would be happy to help you. From the airport itself, begin to ask any questions from any tourist information desk that you find. However it is your accommodation where you will find most of the information. The receptionists are not only acquainted with much of the local information, it is their duty to reveal and guide their guests, so you must feel free to ask as many questions from them. Moreover they have other resources like maps, where they can explain things, locations and highlights. On the other hand, if you are a member of free accommodation websites like couchsurfing.com or stay4free.com then you have an added advantage. Not only the hosts in most of the cases are warm and helpful, they can also partake to show you the place around while also furnishing you a lot of information. Here, make a list of places which are located in the same geographical location or located in close proximity to each other. Now your choice of destinations will depend upon how many days you have in your kitty. You can then cover these places accordingly. If you are running short on time, there is no need to cover all the destinations in a hurry. You can do those sites which are closer to each other across an area. You will need your own thoughts and discretion in this case as neither it is wise to haphazardly visit each place nor is it good waste your time in sightseeing only few destinations. Balance the word that holds the key. As you will find, avoiding public transport as much as possible and traversing more of your place on foot will help you reveal the subtle details and local culture of the area better. This is one of the best methods to understand your location. On the other hand, if you do happen to hop on any public transport, the importance of taking a window seat cannot be underestimated to get the maximum view of the place of your interest. Google maps or any of the GPS location services comes really handy in case when travelling to unknown places. Those who have used these services may know how accurate and useful they are. However, data charges may be a concern for some. If travelling within the European Union, these may be really inexpensive. With an additional charge of only 3 Euros a day, you can keep using the same phone and data plan as in your country (in Europe). However, outside the European Union one can either purchase a cheap mobile internet card or use their hotel’s Wi-Fi connection to download local map and then use it offline. Thus, in any case these routes and maps prove really helpful and make life much easier for many people. Pictures are something which are forever and there is no doubt that you want to preserve these memories and capture as much as it can be possible. But in spite of the relevance and importance of taking a large number of pictures, you nevertheless want to experience the place yourself closely. Do take out time to understand the place on your own personal terms. Even if you do take many pictures, avoid uploading to any social networking site instantly. Wait before you experience a place and settle down either in some restaurant or coffee shop for doing this. No matter what people say of a place or destination, most of the tourist sites are safe and locals, cooperative and helpful. Of course, personal discretion is needed all the time. But, every tourist has a different tale to tell. However, overall, most of the places in the world are relatively much safer than they are perceived to be. Do not miss out on enjoying local ways of life and mixing with the people and understanding them. It goes without saying that talking to locals and knowing about their personal lives and experiences makes a trip much more enriching. There would be annoying factors of course and dangers of being chased or stalked is reported all the time, but as a person you must be able to discriminate where to put up the line. Otherwise, be bold and courageous to move forward to experience some of the best moments of your trip. There are places where it takes nothing to enter and enjoy the site as much one wants and for as many times. However, certain other places makes you pay entrance fees like museums, galleries and well-preserved monuments etc. Another distressing fact is that at most of these sites, foreigners are charged, sometimes as high as 250% than the charge that a local resident pays for the same. Here, you can decide which places to cover in your itinerary and which not depending upon your budget. You can give such places a miss which charge you a high admission fees. All this depends upon your interests, your time, your money and convenience. There would definitely be some destinations which would be missed, so choose and decide wisely. After all smart travelling is overall a right combination of which destination to include and which destination to miss based on numerous factors including budget. It hardly needs any more emphasis that in order to make most of your travel, one must concentrate on living the moments rather than focusing on avoidable. Aim at meeting as many people as you can, participating in as many events and learning as much as you can from unusual experiences and adventures. Although travelling with a clear plan is definitely advantageous, leave some aspects of your journey on random encounters makes it much more exciting and notable. Spend as much time as you can in perceiving little elements and making note of flavors, fragrances, colors, peculiarity and mannerisms of your chosen location. People can crowd popular destinations like anything and it can most often look like a teeming jungle. Thus, in order to make the most of your travel, find places that lies off the beaten track, that affords you something unique and exclusive than the usual. Experience new destinations, try new cuisines, meet new people and explore and unearth new secrets, new facts and adventures. Another way you can avoid the crowd is by visiting your destination during the off season when you will not only find the density of tourists low but also prices of hotels and other accommodations as well as transportation fares quite cheap. Another advantage to visit during the off season is that a lot of time is saved with absence of long queues, packed restaurants and hotels and sightseeing locations. Thus, plan your vacation in such a way that will help you to take out maximum benefit, pleasure, fun and memories by taking the path less travelled. Although this can be one of the most difficult deals, but going gadget free can be really rewarding while on travel and saves you a lot of time as well as useless diversion. Nevertheless, carry the one which you absolutely need in times of emergencies while giving up those which consumes your time. But if you cannot go gadget free, then at least make an effort to go internet free. Go out and try to understand and feel the local culture, local ways and experience life in a different space that you will otherwise not have the opportunity to know and perceive in your own country. Collect as much little memories as you can and leave your internet, games, and movies for the later part when you reach home. Moreover, “flaunting” your devices in a country which has people less fortunate than you also isn’t a good practice as some culture may definitely perceive your possessions as flaunting. In either way, going gadget or internet free will certainly help you the make the most of your travel time in your destination. This is one of the tip whose importance cannot be over-emphasized. Toting a lighter luggage not only saves you a lot of time and hassle at the airports but keeps you relatively stress free and better managed and in relatively less danger in losing your stuff. Also if you do happen to carry any suitcase, make sure you keep it comparatively empty so that you have enough room in your travels to pack any stuff or merchandise that you purchase along. Therefore, keep yourself as easy and buoyant both in weight and spirit as possible and enjoy your journey to the maximum. Your concerns about local food and hygiene at your destination are genuine but you need to accept these facts-Nowhere will you find perfectly clean and sanitary conditions for your food. Moreover, a great deal of a country’s or a region’s culture and soul can be found in its food. Thus, when you do choose to travel abroad or to any new destination, make sure to indulge in local delicacies as much as possible (if not whole then you must sample them as wide as you can do). This is certainly a great opportunity to know and experience newer lifestyles and find fresh and original avenues in cuisines. Of course, you don’t want to upset your stomach and take ill, so practice discretion, but nevertheless don’t be too much picky and selective in your fares and enjoy your excursion to the full. On your travels, you are going to meet many kinds of individuals the likes of whom you may probably never come across in your own home country. On any excursion, there is always a tremendously rich field of experience in the form of different peoples from a diverse vocations, businesses, careers and jobs. Therefore, always be open and friendly and try to soak in as much as you can within your limited time. Of course, don’t call for unnecessary attention as these may complicate the matters, but generally be approachable and you will be surprised to find how much warm most of the people are and how eager they are to tell you about their country and themselves. Although its usefulness is generally overlooked, there is no harm in learning few phrases of local lingo which can help you get around, keep you safe as well bring you closer to the locals and make you understand the local culture better. Moreover, it helps in expanding your knowledge and widen your horizons. As Australian Philosopher Ludwig Wittgenstein quoted, “the limits of your language are the limits of your world,” learning some amount of foreign lingo will definitely be a rich rewarding exercise as you get to know many more new people. Even if you don’t have a direct contact, you can ask your friends, extended family, coworkers if they know anyone who lives in your destination location. As you will find, to have a local or an expatriate in contact who can explain as well as show you around the places is a great way not only to understand the minute subtleties of the local culture, but also saves you a lot of time. Moreover, if you are lucky enough, they may also offer you accommodation in their house which not only prevent you from unnecessary hassles but also will be a great opportunity to blend in and grasp some amazing new things about your destination’s culture and lifestyle. Make sure you carry a blank journal and a sketchbook to record your own unique experiences and draw amazing and exclusive things that you find on your sojourn. Reflecting not only reinforces all the beautiful encounters and adventures that you have, it also preserves a great chunk of memories that we otherwise tend to or usually forget. Moreover, drawing helps you to record those experiences, feelings or rendezvouses that you otherwise can’t express in words. Try to document your experiences after each day, let your feelings and emotions flow at that time and jot down everything that you can remember. Don’t worry if your drawing is sloppy or if you can’t write expertly. This is of secondary importance, the primary goal is your expression and you will cherish all the slight details of your trip that you will finally manage to put down on the paper. Even though it can eventually over pack and over load your suitcase, collecting souvenirs from each and every location you visit is a great way to keep and cherish your memories. 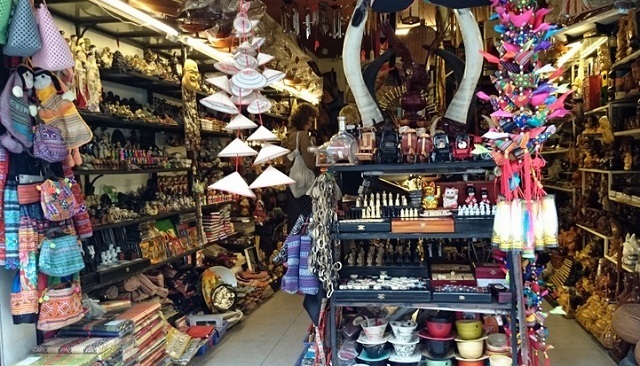 Souvenirs can be of any shape and size and does not necessarily involve heavy costs. They can be as small as the business cards collected from various shops and attractions that you visit. However these souvenirs should remind you of the place that you have visited. Try to stay away from things that you would normally find anywhere. Rather look for the object’s exclusivity, its local context and its value addition. Souvenirs are a great way to keep the impressions of your trip alive and fresh. Thus, any excursion, howsoever short or insignificant it may be remains all the more dynamic and crisp in thoughts with collection of numerous memorable objects.